Richard Ben-Veniste is a Washington legend. He has appeared more than 200 times on television and radio programs, including multiple appearances on Sunday morning news shows for ABC, CBS, NBC, CNN, and Fox. Among his many distinctions, he has served on the 9/11 Commission, as the Chief Counsel (Minority) for the Senate Whitewater Committee, and as Chief of the Watergate Task Force for the Department of Justice. He is a partner at Mayer Brown in Washington, D.C.
Richard has had a truly legendary career in Washington, and shares his remarkable insight with groups across the country. A legal wunderkind, Ben-Veniste was hired at age thirty by Special Prosecutor Archibald Cox to investigate the Watergate cover-up. As chief of the Watergate Task Force at the time of the infamous "Saturday Night Massacre," the author played an important role in prosecuting the case and revealed the extent of Richard Nixon's involvement with his top lieutenants in a conspiracy to obstruct justice and commit perjury. The author gained further national prominence as a member of the 9/11 Commission, in which his artful questioning of Condoleeza Rice revealed how ill-prepared the Bush Administration had been in the weeks leading up to 9/11. 9/11 Commission Hear Mr. Ben-Veniste recount his experience on this committee, what he thinks of today’s current international crisis, and his take on the Bush Administration’s handling of 9/11. 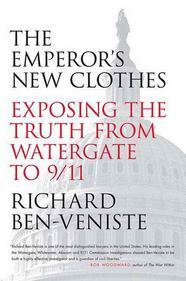 My Story Mr. Ben-Veniste discusses his role in the 9/11 Commission, Watergate, Whitewater, and experiences in the world of Washington politics. Read an interview with Richard Ben-Veniste with the DC Bar. Check out a feature on Richard Ben-Veniste by The New York Times. Learn more about Richard Ben-Veniste here.